August | 2012 | eating with S.O.L.E. Wow I did a major canning marathon yesterday! I put up pint after pint of tomato sauce, hot pepper salsa, and yellow hot pepper sauce, along with some organic Okanagan peach slicing and freezing it was a big day for the pantry surplus! I yielded 25 jars in total and finally got to play with my pressure canner a little more. I will share the salsa recipe soon, but the star of the day for me was this stunning bright yellow hot pepper sauce, made with spicy fresh yellow hungarian peppers and giant yellow tomatoes, this is no west indian hot sauce but it will keep my fiery needs met for the winter for sure. I hot water bathed this batch, but after much reading I found that hot pepper sauce keeps very well in the fridge and in most cases you can make small batches and keep them cool, and not process them at all. This recipe makes a pretty large batch which yielded 10 pint jars (a little more than I want to store in the fridge at any one time). 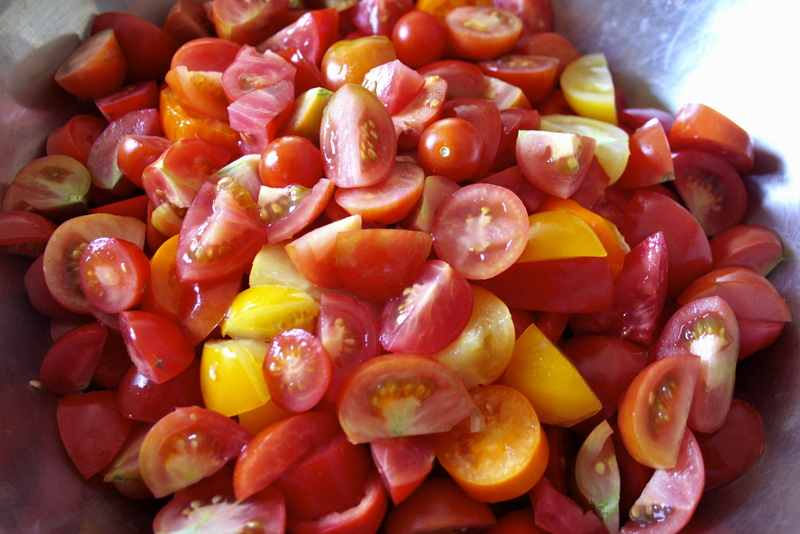 Remove stems and seeds from peppers and coarsely chop along with all the other veggies. Combine all ingredients in a large heavy bottom stock pot and boil for 1 hour, stirring often. Then using a submersion blender thin mix to desired consistency (you can of course use a blender or food processors instead). Continue to boil the sauce for another hour. 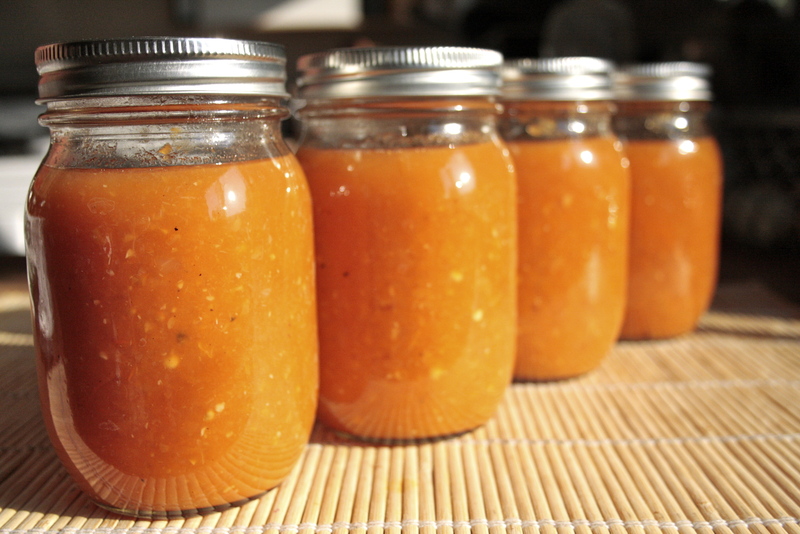 Portion sauce into sterilized canning jars. As with all canning ensure everything is super clean and hot. Attach lids and hot water bath process for 15 minutes. These jars look so sunny and hot, and remind me of Caribbean style hot sauce, without the extreme scotch bonnet kick… not that these hungarian peppers aren’t hot, in fact as I was making this sauce I was chopping peppers (in laytex gloves I might add as a solid recommendation) I took a bite to test out the heat, and my face almost melted off (and I have a HUGE threshold for heat… I love it hot), my lips and nose were literally burning and I was getting really fearful that I was busting my but making a sauce that no one would be able to endure, but when the burning subsided I tried a few more peppers and found none of them to be that extreme, so my confidence was renewed in the gift and share-ability of these jars! After processing all the jars I was left with 1 cup of sauce that is living happily in the fridge, and it is a lovely fresh hot sauce with a good kick, but not too hot at all. I am excited to see how the flavors develope over the next few weeks. So remember to wear gloves when processing that many hot peppers, even with the gloves my fingers stung and burned for hours after my pepper-palooza yesterday. I am trying a small batch of lactose fermented hot pepper sauce today, and will share those results soon too! Even though the temperature has been soaring here I have had for some crazy reason this desire to start baking bread! What poor timing, although I figure since I am melting and canning anyway might as well add the oven to the heat storm. 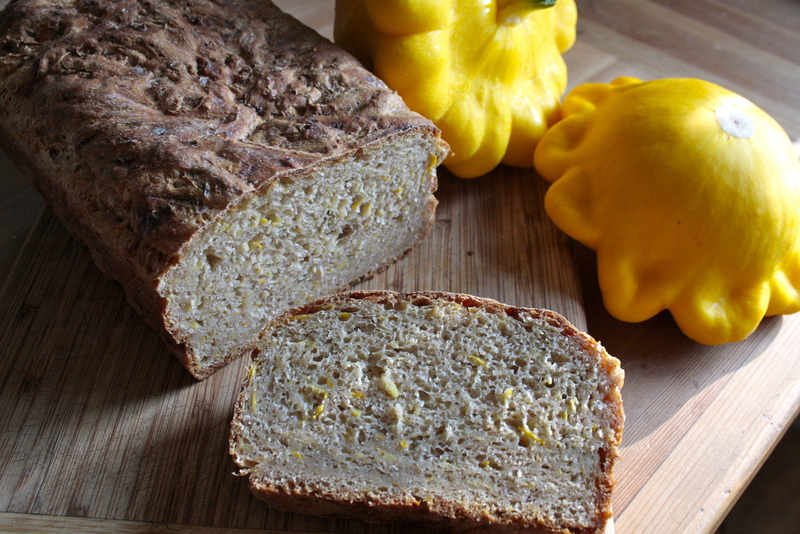 I started this adventure by trying out a large batch of “5 minute a day bread” with mixed albeit tasty results. 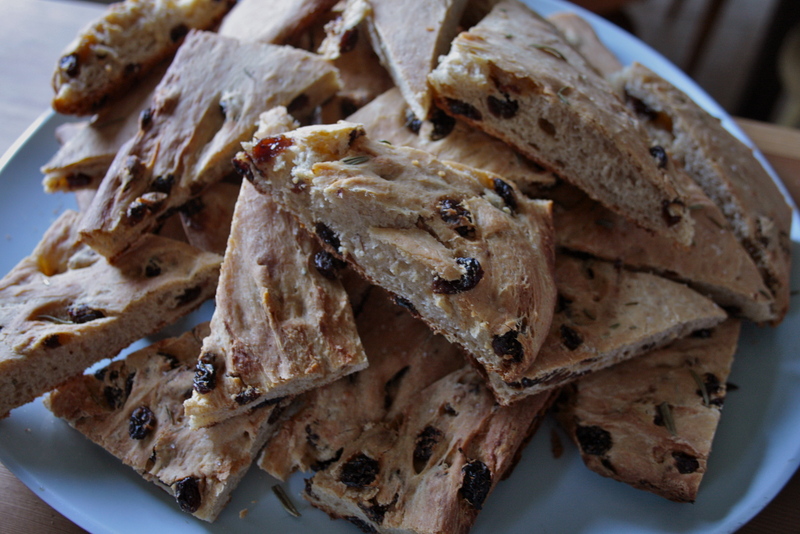 I then tried a batch of focaccia, and reached for my baking bible the Art & Soul of Baking to lead the way. Sprinkle 1 tbsp dry active yeast and 1 tsp of sugar on to the milk, whisk in 1/4 cup of flour. Allow to stand for 10 minutes while the yeast bubbles away. Then add 2 cups of flour (I used white spelt) and mix with a paddle attachment for 4 minutes. Add 2 cups of raisins and two sprigs of fresh rosemary, mashed and chopped. Then add with 3 tbsp olive oil, 1 1/2 tsp cinnamon, and 1 tsp salt. Attach dough hook and mix for 2 minutes on low, finally add another 2 3/4 cups of flour, and kneed for 2 more minutes, scrape side and turn mixture over before kneading for 2 more minutes. Oil a bowl and put dough into it to allow it to rise in a warm place for about 1 1/2 hours (or until it has doubled in size). Then punch down the dough and place it on a large oiled baking sheet. Begin to pull and stretch the dough into your desired shape. Using your finger tips tap little pockets over the top of the dough, and then allow it to rise again for at least 30 minutes. Bake in a 375 oven for about 35 minutes or until lightly golden brown. Remove from oven and allow to cool for about 10 minutes before brushing with olive oil and and finishing sprinkle of sea salt and more rosemary. This bread was served with balsamic and olive oil for dunking and was really nice left over toasted with a dollop of honey! With my cucumber abundance these days it’s time to get crafty and try out a few pickle recipes and nail down a family favorite! 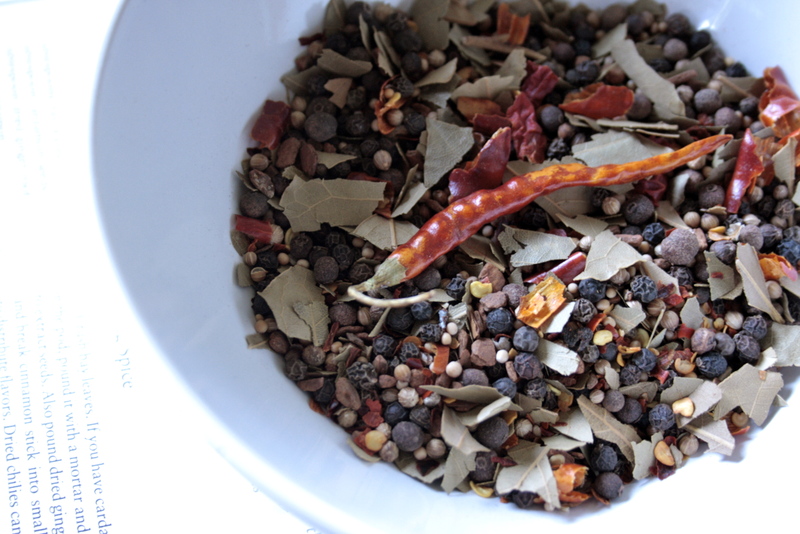 To do so I needed a pickling spice and I wasn’t about to buy some at the store, so I made myself a simple spice blend and as you may well know I certainly love all things fiery and spicy, and my pickles are no exception, so I kicked up the heat in my blend. I found a recipe to guide me through the perfect pickling spice creation in my go-to canning book “Stocking up” By Carol Hupping & the Staff of the Rodale Food Center. I tweaked the recipe ever so slightly, mainly just by adding extra heat and juniper berries. I also finally got to use these lovely cinnamon chips I have had for a year or more, they are two small to grate and really need to be using in something just like this, a course infusing spice blend. So here is what I made, and later this week I will share how I am using it. * the original recipe also called for 1 Tbsp ginger root… which I have none of, so I simply omitted. Don’t substitute powdered spices for whole ones or your pickles will be murky and discolored. 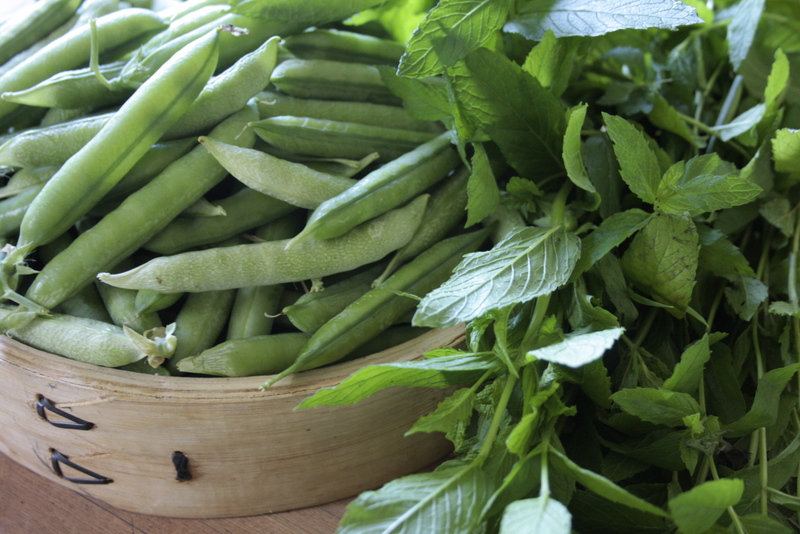 Keep the lot in a sealed mason jar and use in pickling recipes as instructed! 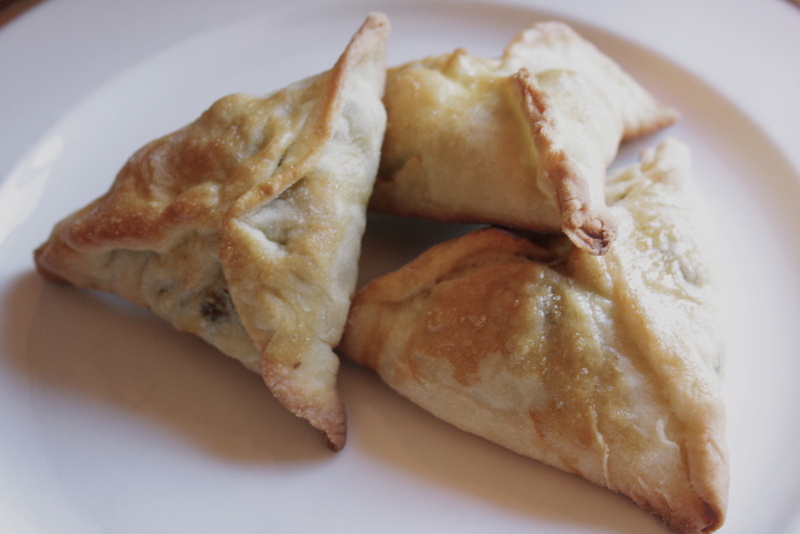 Ok so everything here is DIY, but I added that tag to this recipe because we all really ought to more “DO IT YOURSELF-ing”… especially in the kitchen where making things from scratch saves money, and ensures quality and instowes confidence in the contents of the food that ends up on your table. These are all important things to me and my family. 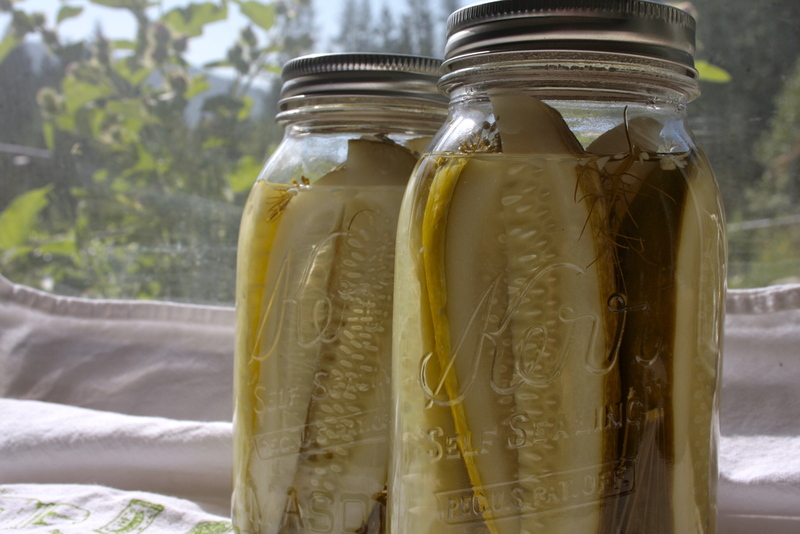 If you are new to canning then pickles are a really great place to start, the results put store bought jars to shame. 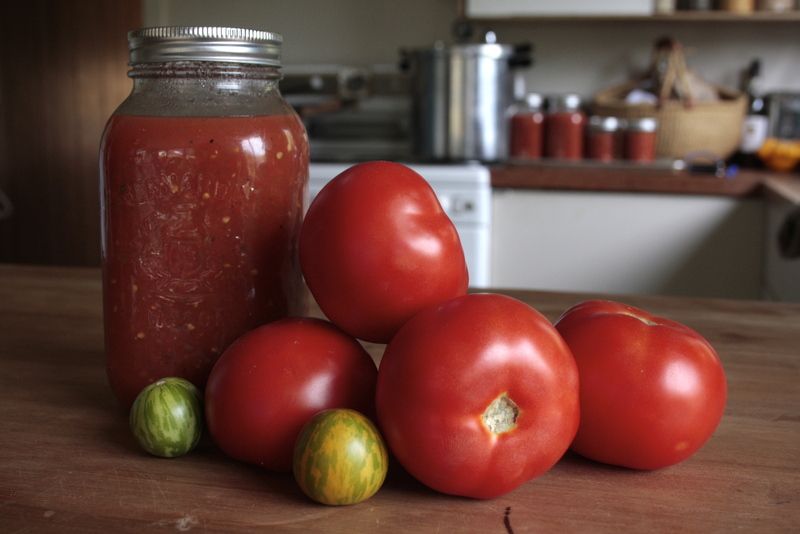 I have done a LOT of canning over the past few years, and usually when I share a recipe I write it for people who have had some experience preserving, but today I am going to elaborate a bit on the basics. I am drowning in cucumbers right now, and for the first time ever I am able to make many many jars of dill pickles using garlic, dill and cucumbers all from my own garden! * I am gushing and beaming over this fact if you can’t tell. 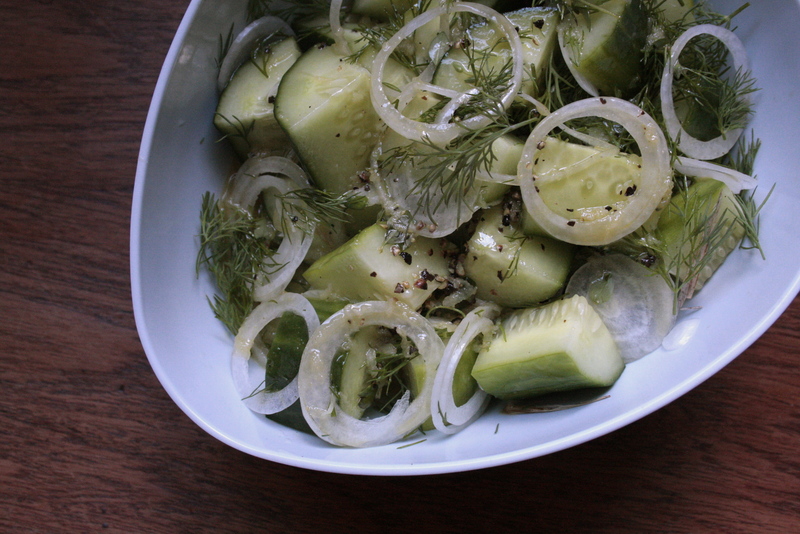 I made these dill’s yesterday and today I harvested another 30 lbs of cucumbers! Best of all there are still another 4 dozen almost ready, and another million flowers blooming still! Yesterday I used this recipe (below) to make 7 pints of kosher dill pickles straight up with garlic. Today I am going to blend up a pickling spice blend, that I look forward to sharing with you all soon along with a different pickle recipe, I have a lot more pickling in the near (oh so hot) future, so stick around for more canning adventures. 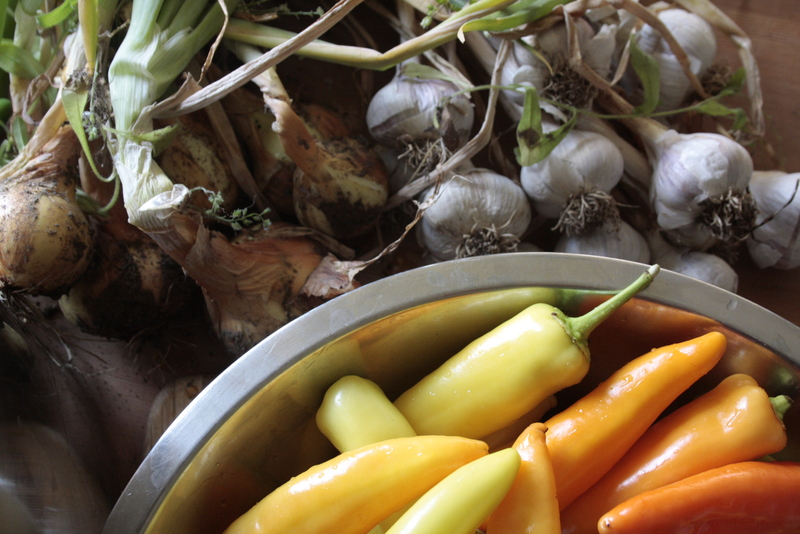 And check out my Growing and Preserving Category for more putting up recipes and ideas. Cut cucumbers to desired size (wedges or slices or whole cuc’s) I filled a large stainless bowl with slices from about 8 cucumbers and made both jars of kosher style wedges as well as hamburger style slices. Sterilize 7 pint jars (hot soapy water wash, boiling water bath for 10 minutes and keep warmed in a low oven). While you are sterilizing the jars you can also get a small pot going of boiling water to sterilize the lids for 10 minutes too. Into the bottom each jar place 2 garlic cloves and a few pieces of dill weed and or dill flower head or 2 tsp dill seeds. Neatly place your cucumbers into the jar, using a chopstick to help position them. Make sure your hands are clean and avoid touching the jar as much as possible. Fill to 1″ of the neck, then top with another garlic clove and some more dill. Pour hot brine into each jar leaving 1/2″ of head room. Using the same large water bath you sterilized the jars in place your pickles into RAPIDLY BOILING WATER, stand the jars upright and ensure that water covers the lids by at least and inch. It is really important to ensure the water is rapidly boiling the whole time, so consistent heat is key. You can also of course use a steam canner… just ensure you are using a modern and safe canning method because there are no end of old fashion unsafe ways to can food that can cause all sorts of horrible things to happen to people you love. Process jars for 15 minutes. When you remove them from the canner place the jars on a tea towel and allow them to cool down slowly without handling them too much, leave lots of space between jars too. You will start to hear them pop. Label your jars when cooled and put them in your pantry! If any of your lids did not “pop” (seal flat) you can reprocess or If it’s just one jar, you can put it in the fridge and eat it sooner than later. 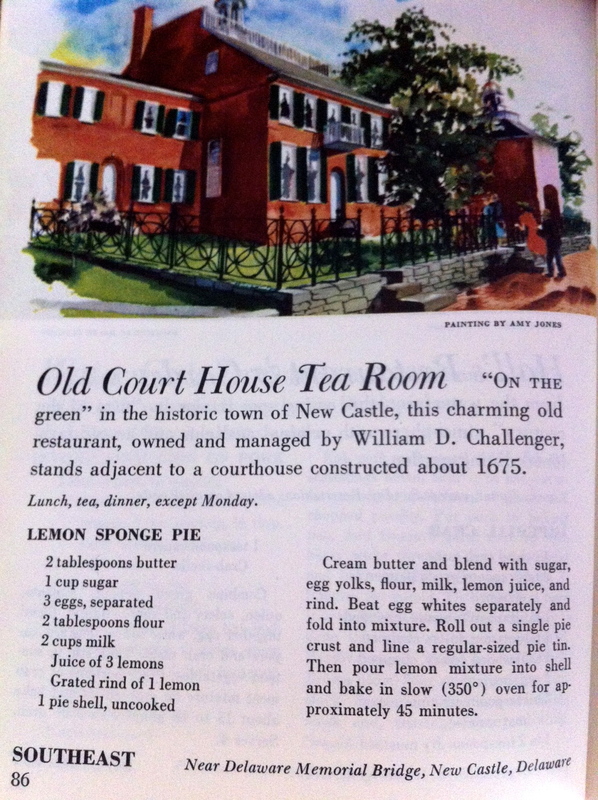 As some of you know I participate in the Burwell General Store Recipe Swap, and each month we are challenged to put our own spin on a vintage recipe, The swap group has been on “summer holidays” but we are back and kicking things off with a lemon sponge pie… and while lemons may be in season somewhere, they certain aren’t here nor do they even grow in my climate… so I opted for a seasonal summer fruit a little closer to home… raspberry! My friend and master herbalist picked a few cups of fresh berries this morning for me just for this recipe! I decided to do a coconut hemp graham crust made with organic graham crackers and maple syrup. Then used fresh raspberries instead of all that fresh squeezed lemon juice. 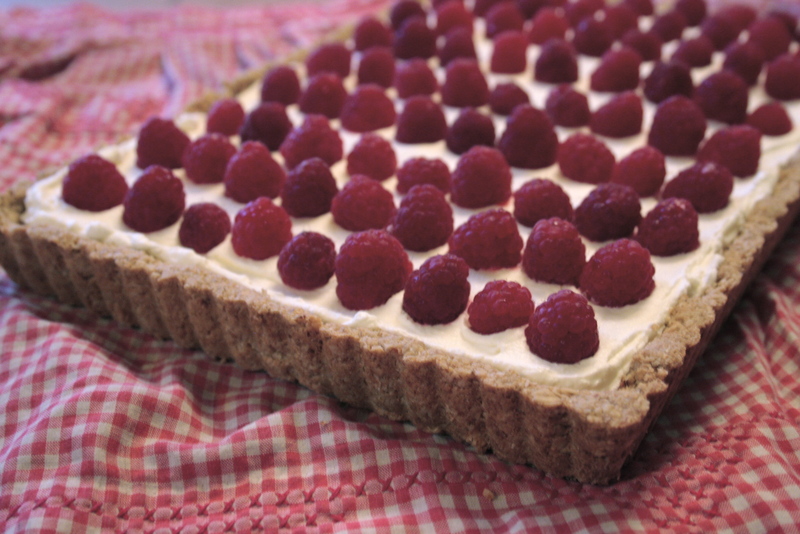 I finished this with a dollop of fresh whipped cream and one more burst of fresh sun warmed raspberries. Here is the original recipe photographed below, the changes I made were mainly the fruit swap out and the homemade crust, although I did reduce the milk by half and still found the batter to be really liquidy for the small about of egg whites. I love the technique of whipping egg white to fluffy up a tart (especially when cooking without gluten or flour) this recipe all read a little funny to me… but the results were pretty + tasty, yet not a fluffy and thick as I would have liked… if I re made this I would reduce the milk further maybe down to 1/2 cup and add 3 more eggs.. try to get a little more rise out of it. gently press this crumb crust into a small rectangle tart tray. bake at 350 for 10 minutes, set aside to cool. Set aside in large bowl, then whip reserved 3 egg whites to soft peaks, and gently fold whites into berry batter. Pour battre into tart crust and bake at 350 for about 45 minutes until the top starts to brown ever so slightly and it seem set. Be sure to fill the tart to the very tip top, as this batter is heavy and settles low. Allow to cool before finishing with a dollop of whipped cream and a sprinkle of more berries. No questions asked this the best cucumber salad ever! It’s like mustard dill pickles only garden fresh and oh so crunchy! 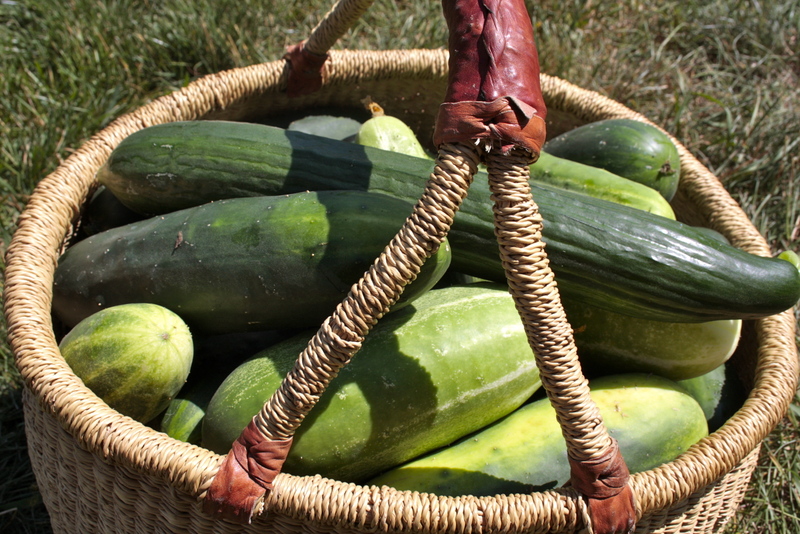 Perfect for hot summer days, and if you are drowning in cucumbers like we are.. then it’s a must. 1 small yellow onion, finely shaved into thin rings. Allow the cucumber to soak up the dressing for at least 30 minutes before serving, then enjoy liberally! This is a whole lot like a refrigerator pickle recipe, so you could easily do a larger batch and keep it at the ready in the fridge for at least a week or so.